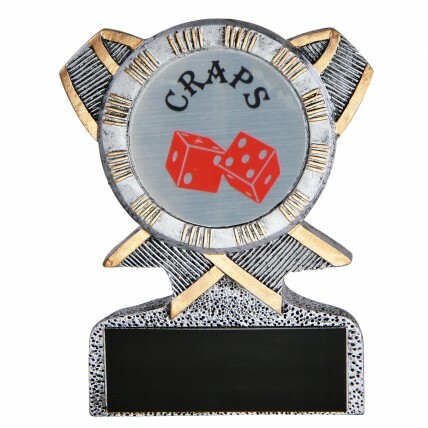 The Craps Action Resin Award is an award you would display proudly! It features an image of a red pair of dice with a brass plate below for your custom engraving. Measures 5 inches tall; your choice of gold, silver or bronze.